No one's allowed to eat them. They are amazing. 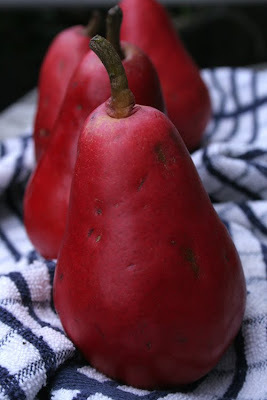 Like rooster potatoes, in pear version. They do make for wonderful photos! 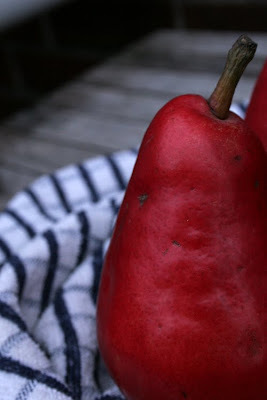 So I am not the only person that won't let people eat the fruit because it Looks So Good. And they do look good. Do they have blood vessels in them or something? 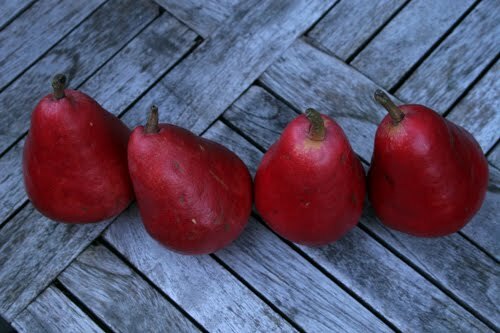 I have never seen a red pear. Red pears? So unusual. My husband always knows when I buy fruit for looks bc I put them on the island and not the fridge! Gorgeous! Far too good to eat, I'm sure.